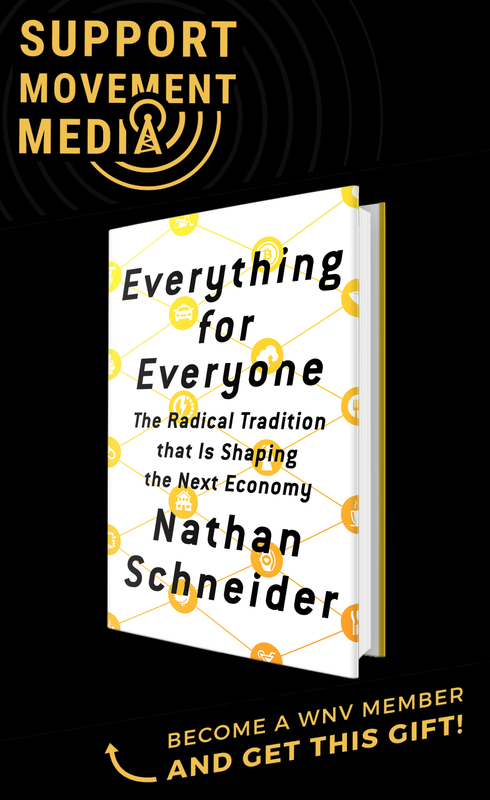 “Why is there so little protest in response to these hard economic times?” asks Peter Dreier, in an interesting piece for The Nation. It’s important and difficult question for activists to ask themselves. Part of the problem, in my opinion, is that most Americans are not schooled in nonviolence, or made aware of the rich history of activism and dissent in this country. If young people grew up studying the theory, strategy and tactics of nonviolence – and how it has been used historically – as much as they do math or science, we would have a far better sense of how to create a more democratic and just world. While Dreier doesn’t really provide much of a direct answer to his question, he does suggest that we can can learn from our history about what may be necessary today. He then gives a nice explanation of how nonviolent action during the 1930s played a crucial role in pushing President Franklin Roosevelt – who was “in many ways a cautious, even conservative, politician” when he was first elected – to make the many progressive reforms of the New Deal a reality. In the 1930s, the United States was a nation of renters. As the Depression worsened, there were huge waves of evictions, because tenants didn’t have the income to pay rent. Utility companies shut off electricity and heat. In many cities, when word spread that a family was being evicted, a crowd would gather–sometimes ten people, sometimes a few hundred. The police would remove the furniture from the house and put it out in the street, and the crowd would bring the furniture back. This happened so often that some police officers would refuse to evict or arrest people. These protests set the stage for the New Deal’s housing programs, the first time that the government provided subsidies to create affordable housing. In January 1933, several hundred jobless Americans surrounded a restaurant just off Union Square in New York City, demanding that they be fed without charge. In Seattle in February 1933, about 5,000 unemployed people occupied the County-City Building demanding jobs or relief. These and similar protests around the country set the stage for the nation’s first cash assistance program for struggling families. Through the 1930s, workers engaged in massive and illegal strikes and sit-down protests in factories and retail stores throughout the country. In 1934, 1.5 million workers–including longshoremen, teamsters, factory workers and retail clerks–went on strike. 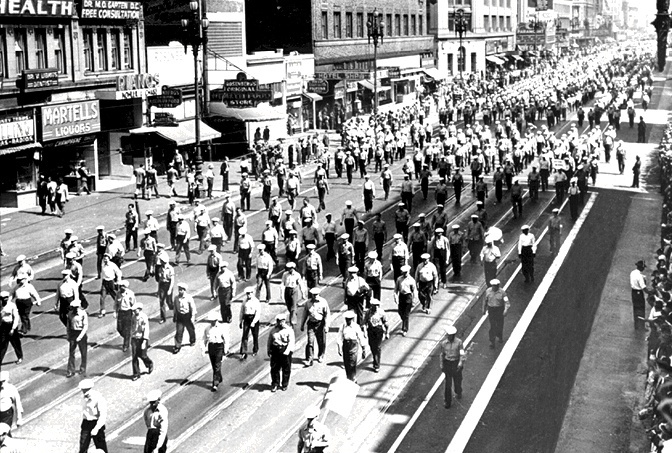 In San Francisco, 130,000 workers joined a general strike. Superb article, I am a huge fan of your site, keep up the Well written work, and I will be a frequent visitor for a very long time.